We finally have the date for the Open Beta for Dragon Ball FighterZ! The beta will take place between January 14th to 15th, however if your pre-order the game you’ll get early access to the beta and you’ll be able to play on the 13th! For those that have been dying to play the game, this is huge news, so go out and pre-order to make sure you can get in as early as possible!! I’m betting for Merged Zamasu and Vegito Blue. Possibly, it may just be 21. I think MZ and VB should come in pair. So then both of them would be DLC or in the main game. 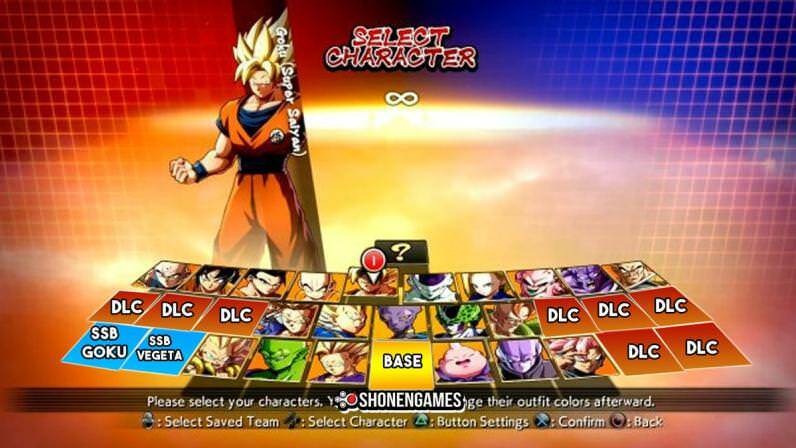 Here’s a pic of the actual in-game character select screen and what it will probably look like after the DLC and the Blues are added. If 21 is playable she’s surely under Beerus. Super Fusion pack: Vegito Blue and Merged Zamasu. 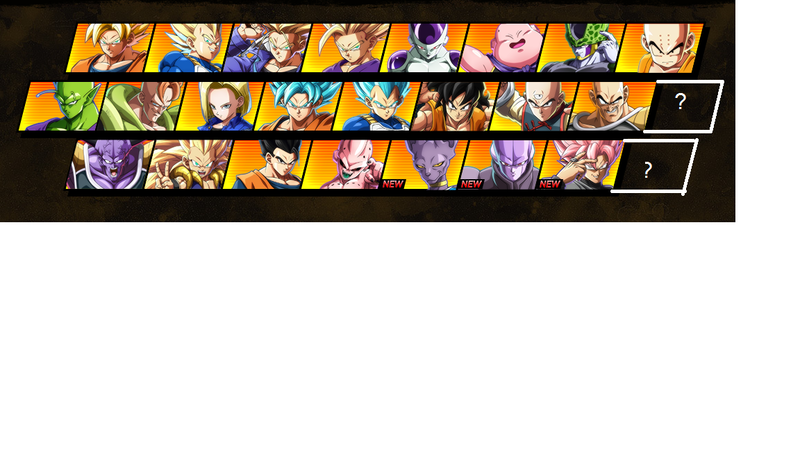 This seems legit but since this one is built 2 months before the game releases it’s hard to tell if this is the final roster. Well I do hope there’s gonna be another reveal in January that’s not just “oh btw 21’s playable”. I’m still hoping Broly or Vegito make the base roster for example. Come on, be honest with yourself. Characters like that (Broly) don’t make a base roster for any fighting game? They’re DLC types at best. Everyone in this this title thus far is from DBZ or DB Super? Additional’s like “Broly” for example would be movie versions of the DB characters, Which isn’t considered canon per se. He’d be in because he’s popular, but he’d be put in as DLC at best and we all know it! Vegito is fusion based, and might be very ‘Over-Powered’ possibly, so would be a bonus fighter. Who’s either very hard to unlock in-game or again is a DLC type character, players have to earn somehow. These two wouldn’t be base roster characters however. Hope ArcSystem doesn’t make us all lazy in picking easily overpowered DB characters at all. Broly’s DLC bait for sure, you’re not wrong. I was just thinking that he was part of the base roster in every game he’s been in (talking about the games that came out during the PS3-PS4 generstions, when DLC started being a thing) hence why I was still tempted to think that maaaaaybe he’s still in somehow? But yeah, unlikely at this point. Last character’s prolly Android 21, regular or that mysterious boss (?) version we caught a glimpse of in that one trailer. Hopefully there’s some kind of practice mode to try stuff out in this beta. I didn’t have a chance to play the game yet so i’m really looking forward to it. I want to find out wheter it really plays as it looks or not because to me it clearly looks like they took Extreme Butoden and leveled it up a notch which i personally adore, honestly!